Managing your wireline, wireless and data services, and other telecom expenses is hard enough when you are deployed across the U.S. If you’ve got offices around the world, then understanding (let alone controlling) your services cost is truly daunting—and often impossible. What is Telecom Expense Management (TEM) ? The simple answer to this question is straightforward: Telecom Expense Management, known as TEM, is a combination of software, services (internal and third party) and supporting company policies and processes that are employed to give a company visibility into, and control of, their communications environment. This includes the assets themselves, such as landline circuits, switches, wireless devices, smartphones, pagers, conference calling services, data infrastructure, and the contracts and expenses associated with them. TEM solutions are designed to manage the inventory of services and assets, track usage of the various voice and data services, and manage the cost of it all. With the convergence of voice and data networks and infrastructure, movement of many services to the cloud and the emergence new technologies, there is a more complicated—but also more important definition. TEM has evolved to be, depending on the vendor of course, a complete communications lifecycle management solution. 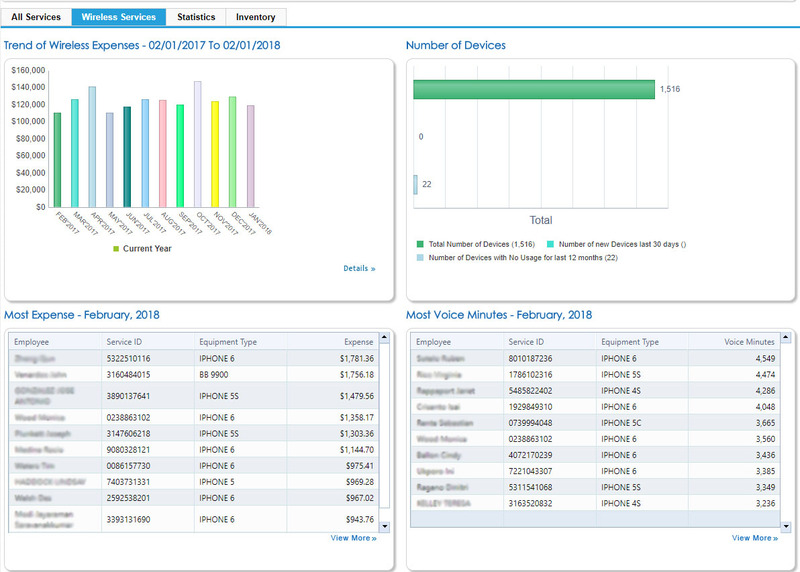 This broader, holistic approach encompasses all aspects of the selection of devices, their initial deployment (called provisioning), regular and episodic moves, adds or changes to assignment and usage of these assets (called MACD) as well as a range of policy implementation and oversight processes that govern proper use of the voice and data network and its assets, both fixed and mobile. Rolled into this lifecycle model of TEM is user support, detailed reporting along key metrics of usage, cost and performance, workflow alerts to identify problems or areas of concern to management. TEM also provides the tools to ensure that the contractually agreed to rates, terms and service level are being met, something that is typically problematic for companies due to the complexity of each document and the number of different agreements they typically have in place. As a result of TEM deployment enterprises gain visibility and control over their voice and data assets and services, can see areas for improvement, reduce risk through enforceable policies, and equally important, control (and often reduce) their spend in this core-to-the-business infrastructure. Telecom Expense Management (TEM) has become established as the best way to manage the complexities of a company’s telecommunications system, but not all TEM providers are created equal. Whether your offices are all located in a single state, across North America, or around the world, you need a single source for telecom expense and asset management. Network Control is able to leverage our extensive experience in North America and around the world by using our industry-leading best practices. We, along with our in-country partners, know the ins and outs of regional laws and regulations so we are able to provide you with the one-source telecom solution you need to truly gain control and visibility over your global TEM services. At Network Control we’ve set out to change the localized model with our Global TEM Services. We have a team of telecommunications management experts located around the world—a group of professionals that know the local laws and regulations, the carrier’s billing systems, and the languages. You will have a global view of all your telecom services and costs through the Network Control portal. Corporate management will have the visibility they need to make the right decisions around policy, services selection, cost control, and expense management. At the same time, you will also have support in-region by our subject matter experts. We can help you get control of your telecom spend… wherever in the world it is. Unlike most TEM providers, we don’t offer software disguised as a solution. To truly manage your telecom expenses and environment—and keep it optimized over time—you need a combination of domain expertise, technology and focused professionals. That’s the Network Control difference. From our US based workforce to our dedicated expense management teams, our process is tailored towards creating seamless solutions. Unlike other telecom companies, we offer short term contracts that let us build strong relationships with our clients.